Red tours are booming in China and Russia, as the two governments have reached agreements to boost such activities in recent years. 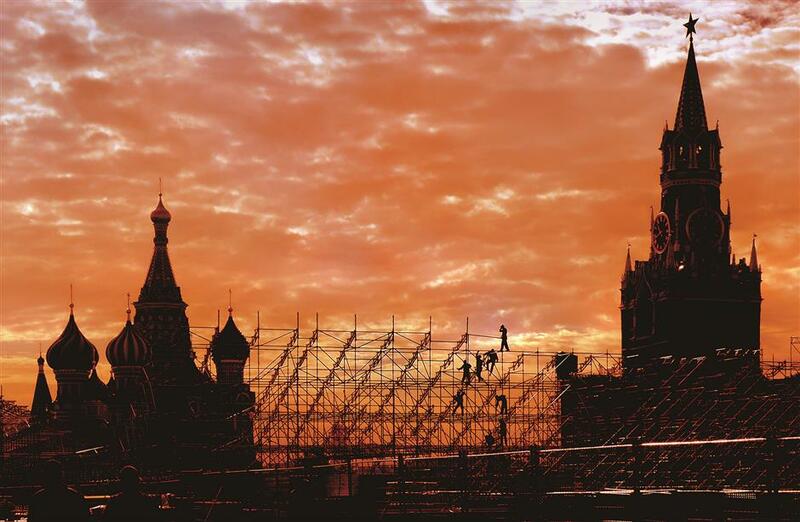 The iconic Red Square in Moscow is pictured during sunset. “Red tourism” has brought opportunities to both China and Russia. The Russian tourism authorities have launched “red-themed” products for Chinese tourists. A tour bus travels along a winding road on the outskirts of Moscow. Onboard, a posse of Chinese tourists, all in their 50s and 60s, sing along to Moscow Nights, a tune produced during the former Soviet Union. This is a “red tour” organized by a travel agency in central China’s Hunan Province, home of Mao Zedong, according to Shu Liangliang, the tour guide. Shu has been a tour guide for more than three years, taking Chinese visitors to iconic sites in Russia such as Lenin’s tomb, the Kremlin, and Red Square. “Most of my tourists are senior citizens who experienced the ‘honeymoon phase’ between China and the Soviet Union,” Shu said. Red tours -— those taking visitors to the sites of early Communist activities -— are booming in China and Russia, as the two governments have reached agreements to boost such activities in recent years. Shu vividly remembers one of his tourists reciting a Mao speech at the University of Moscow, where Mao originally gave the speech. “He had memorized every word,” Shu recalled. In 2015, 22 tourism agencies from China and Russia agreed to conduct red tours during a tourism exchange program held in Shaoshan, birthplace of Mao Zedong. As direct flight routes continue to open and disposable income increases, more and more such tours have hit the road. In 2015, for example, 4,497 people from Hunan visited Russia on red tours. In 2016, the number rose 72.27 percent year on year to 7,747. In the first week of July, more than 1,000 people from Yan’an, a “red city” in northwest China’s Shaanxi Province, began driving in a convey to Russia. A similar caravan of vehicles left from Changsha, capital of Hunan Province. Late Chinese leader Mao Zedong’s former residence in Shaoshan, Hunan Province. Meanwhile, China’s red tourism sites, where its early Communist activities began, are drawing a large number of Russian tourists, particularly Hunan Province, hometown of Chinese revolutionary figures such as Mao and Liu Shaoqi. 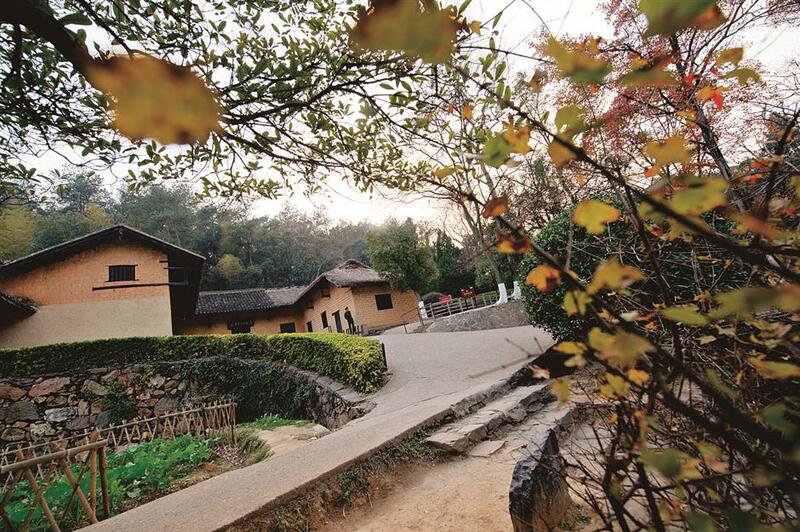 Shaoshan, Mao’s birthplace, is particularly popular with foreign tourists, said Wen Benhui, deputy head of the local tourism development commission. “As the top tourism destination in Hunan, Shaoshan is becoming a driving force behind Hunan’s red tourism,” Wen said. At the tourist sites, visitors can view historic posters of the revolutionary heroes, read stories of their early life and communist activities in their former residences, try on the uniforms of red soldiers, as well as enjoy local foods and watch performances depicting the heroes’ fighting spirits. Li Yalan, a Hunan-based guide with China Travel Service, said her company receives on average 15 Russian tour groups per month, most of them coming as families. Last year, Hunan received 35,035 Russian tourists, up 31.66 percent year on year. Like St Petersburg, local authorities in Hunan also organized specially-designed red tours for Russian visitors, with tourism products such as “The early life of Mao Zedong” and “The War of Resistance against Japanese Aggression in Hunan” quite popular. “We hope to create great itineraries to boost the development of red tourism,” said an official with the provincial tourism development commission.